In the midst of a busy and wonderful book tour, I’ve been invited to contribute articles to two wonderful magazines. 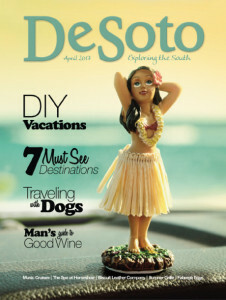 “Tangles and Plaques” will appear in the May issue of DeSoto Magazine. Just in time for Mother’s Day, my short piece will be part Polaroid, part cautionary tale, about the changing relationship between my mother and me during the last eight years of her life. She died on May 22, 2016 of Alzheimer’s Disease. I’m so thankful to my friend Karen Ott Mayer, DeSoto’s editor, for this opportunity. You can subscribe to the magazine, read it online, or pick up a copy at many places in Mississippi and surrounding areas, like Memphis. 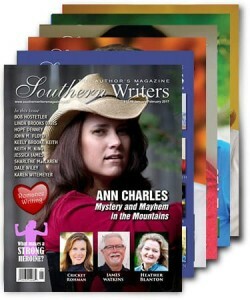 A second article, “Four Book Deals in One Year: A Journey in Independent Publishing” will appear in the September issue of Southern Writers: The Author’s Magazine. I discovered the magazine when my friend (and fellow Dogwood Press author) John Floyd was featured in an interview in their January/February 2017 issue. Another short piece (750 words), this one details my journey through writing and finding publishers for four books within one year. (Three are being published in 2017 and one in 2018.) I share my struggles querying literary agents and finally working with one for many months before parting ways due to our different visions for the book. There’s lots of “how to” in this short piece, including researching and querying academic and independent presses, working with editors on revisions, marketing, and more. Again, many thanks to Susan Reichert, editor-in-chief of Southern Writers, for this opportunity. A great magazine for writers and readers alike, you can subscribe to the print, online, and digital formats here. So, it’s Holy Friday and I’ve already been to three services during Holy Week at St. John Orthodox Church here in Memphis. I’ll be at two more today, two tomorrow, and one on Sunday. It’s a beautiful marathon, where we walk through Christ’s passion, and celebrate His resurrection. Thanks, always, for reading. Have a beautiful Pascha/Easter weekend (I’m so glad the East and West are celebrating on the same date this year) and I’ll be back on Monday.